« How awesome is System.Threading.Tasks.Parallel class? POCO stands for “Plain Old CLR Objects”. POCO classes are basically classes which we generally write with all the public properties (e.g. Customer, Order). Now, EF4, by default generates all the entities for us (we will see this in this article) and we dont have to write those classes. Just becuase EF does this, in order to distinguish “OUR” classes or the “Classes written by us” from the generated classes, we call those “OUR” classes as POCO classes. 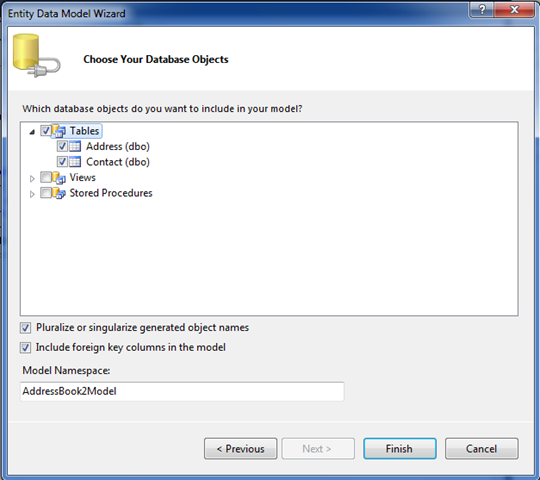 i) Generate the model using the wizard. ii) Turn off the code-generation (because you want to write code yourself). 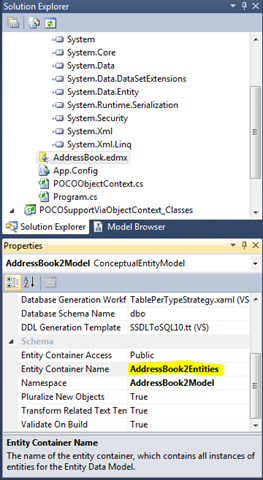 iii) Create your POCO classes, Address and Contact in this case and dont have them inherited from EntityObject. 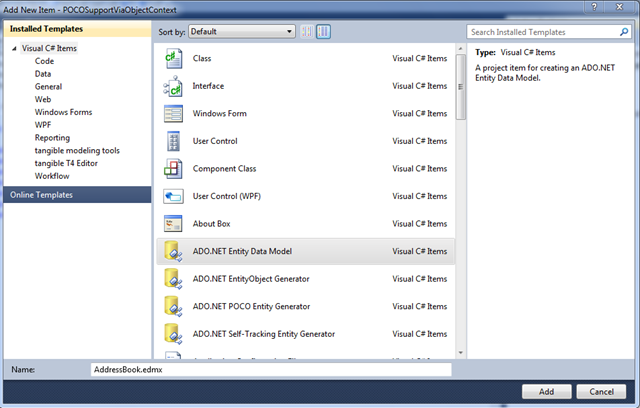 iv) Create your own ObjectContext class. 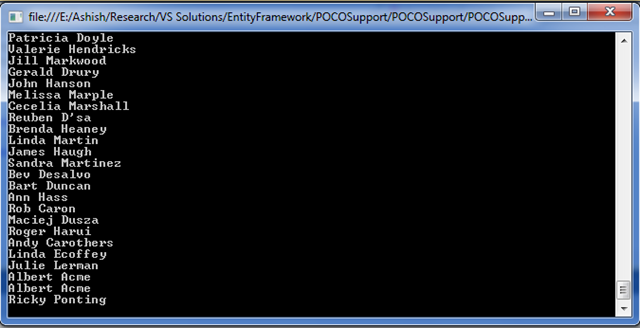 v) Use your ObjectContext class to use POCO classes. 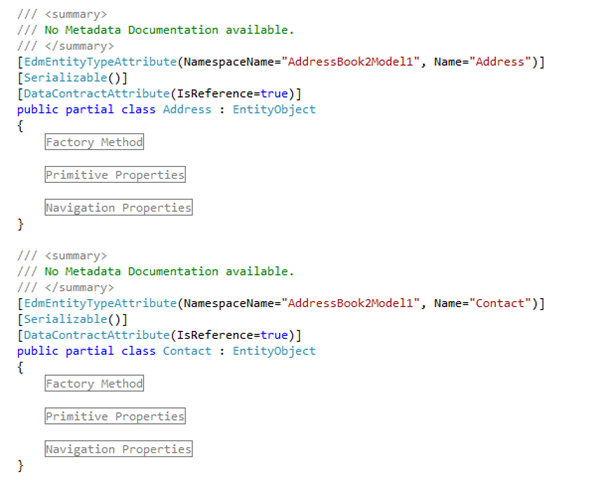 As you see the classes “Contact” and “Address” inherit from EntityObject. there would be times when you dont want your entities to be separated in their own class library and dont want them to get inherited from the EntityObject class. 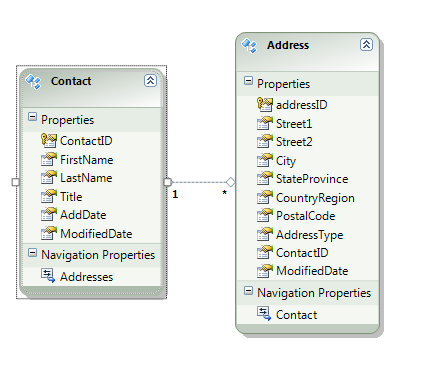 So you (very conventionally) create your own classes named Address and Contacts with the stardard public properties. When objects of those “YOUR” classes are called Plain Old CLR Objects or POCO. 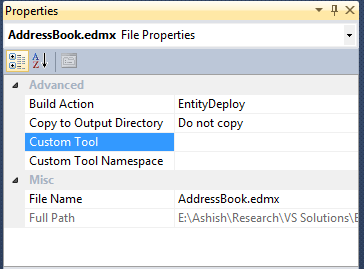 Select the EDMX file in the solution explorer and go to its property window (press F4). Delete the value for the “Custom Tool” in the properties window. when you have deleted the custom tool value, notice that the code-behind for the EDMX file is gone and you are on your own to create entities which we will see in the next step. 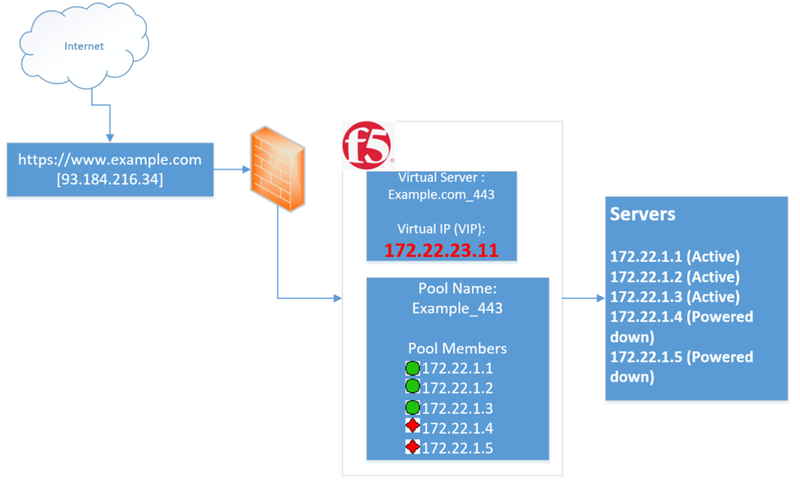 For the first parameter (“name”) we are passing is the name of the connection string in config file. This connection string got added when we generated the model from the database. For the second parameter, we are passing the name of the container. 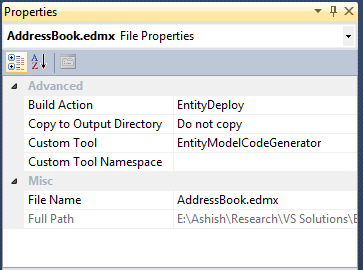 On the properties window of the edmx file, look for the value for “Entity Container Name”. Use the classes in the main method of the console application. Below is just printing all the contacts from the “Contact” table. So, we saw that ObjectContext or your class (inheriting from the ObjectContext) is smart. Although our entity class is not inheriting from the EntityObject, ObjectContext can look at them and let us work with the them just like we could have with the generated code. 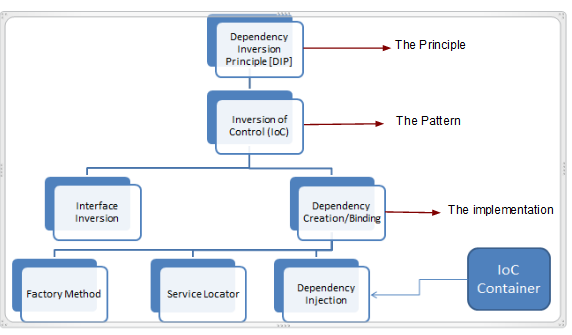 The advantage here (with POCOs) is our entities are clean and do not have any dependency on Entity Framework which enables better organized code and gives us flexibility for unit testing etc. 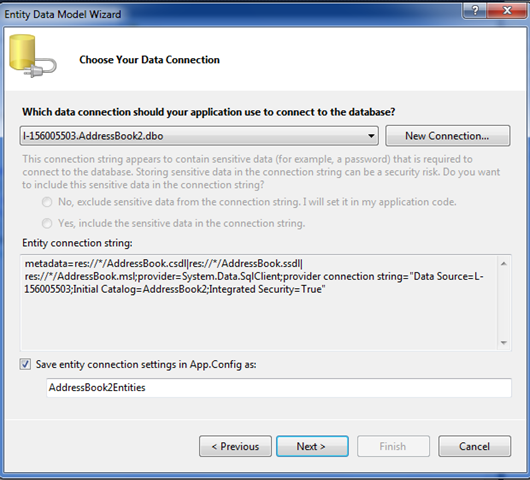 This entry was posted on August 25, 2010, 10:52 pm and is filed under Entity Framework. You can follow any responses to this entry through RSS 2.0. You can leave a response, or trackback from your own site. Ashish , your article really rocks..
Excellently written.. nice screen shots…. Beeth, Thanks. I’m glad It helped.